“Pride goeth before destruction, and an haughty spirit before a fall.” That’s the warning that has been handed down from the Bible since far in humanity’s past. Perhaps members of the Russian government, or at least those who speak for the efforts of the Russian Federal Space Agency, Roscosmos, should take these words into closer consideration. 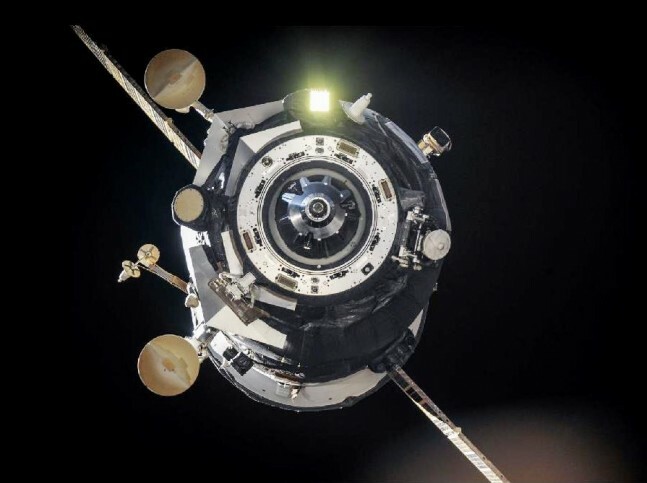 In the past few days alone, a Russian Proton Briz-M booster failed to deploy the MexSat-1 satellite and the Russian Progress M-26M positioned at the International Space Station (ISS) failed to boost the orbiting laboratory during a scheduled firing, requiring a second try. These two incidents come at a time of numerous failures on an array of Russian-produced systems. As this website noted recently in April 2015, the United States’ “partners” on the space station, Roscosmos, responded not with notations of honor as NASA’s 30-year Space Shuttle program conducted its final wheelstop, but with some self promotion – they referred to this new era as the “Soyuz Epoch”! After Russia became involved militarily in the Crimean crisis of 2014, the United States imposed several sanctions on Russia, including sanctions on several individuals. Russian Deputy Prime Minister Dmitry Rogozin was one of seven people who had executive sanctions placed on them by President Barack Obama. 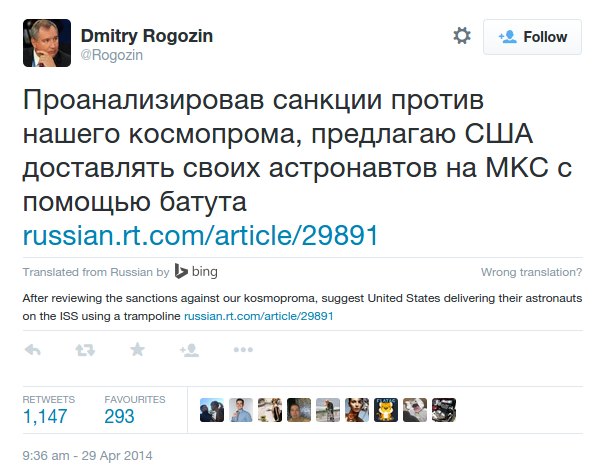 Rogozin was also placed on Canadian and European sanction lists. His Twitter-based retort to this turn of events was that the United States could send astronauts to the ISS via trampoline instead. His comments must be brought under scrutiny considering recent events. Below is a detailed list of 16 Russian launch failures, from 2011 to today, which help to illustrate the reality of the situation. Some are Roscosmos specifically; some are other Russian space endeavors, like Sea Launch. • Feb. 1, 2011, Plesetsk — Rokot with Kosmos 2470 satellite – the satellite reached lower orbit than planned after Briz-KM upper stage malfunction. It was caused by the failure of the flight control system. The spacecraft re-entered Earth’s atmosphere on July 15, 2013. • Aug. 18, 2011, Baikonur — Proton-M with the Ekspress AM4 satellite – the satellite was placed into a wrong orbit by a faulty Briz-M upper stage, caused by a malfunction in the flight control system. The satellite de-orbited on March 28, 2012. • Aug. 24, 2011, Baikonur — Soyuz-U with Progress M-12M spacecraft – a malfunction was detected in the RD-0110 engine powering the Block I third stage. 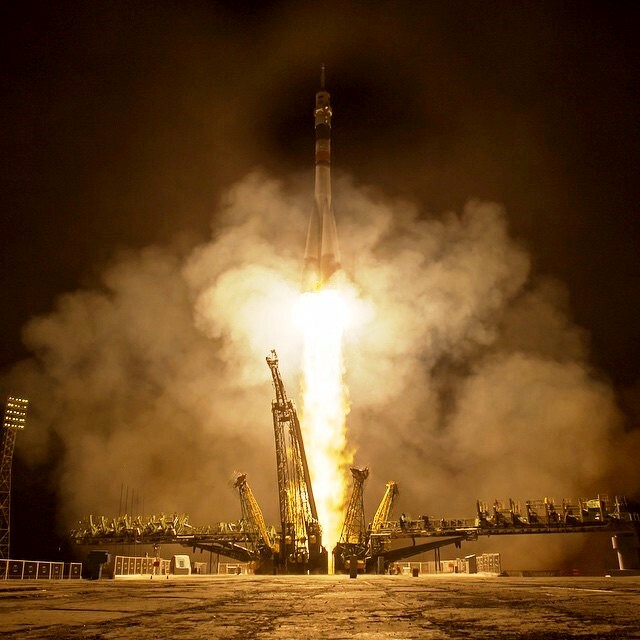 The spacecraft failed to reach the orbit and re-entered over Russia. The failure was caused by a blocked fuel duct, which caused the engines to shutdown prematurely. • Nov. 8, 2011, Baikonur — Zenit-2SB with Fobos-Grunt spacecraft – the spacecraft failed to ignite the propulsion module, went into safe mode and remained in low earth orbit. The failure was caused by a programming error which led to a simultaneous reboot of two working channels of an onboard computer. The spacecraft re-entered the atmosphere over the Pacific Ocean on Jan. 15, 2012. • Dec. 23, 2011, Plesetsk — Soyuz-2.1b with Meridian 5 satellite – an anomaly occurred during the third stage flight which prevented the rocket from reaching orbit. 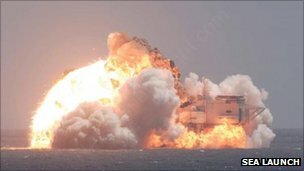 It is believed that an onboard explosion caused the failure. Debris from the launch fell over Siberia. One piece of debris fell through the roof of a house. No injuries were reported. • June 1, 2012, Odyssey, Pacific Ocean — Zenit-3SL with Intelsat 19 satellite – the satellite’s solar array failed to deploy. Although excessive vibration from the rocket was initially blamed for the damage to the solar panels, an independent investigation concluded that the fault was caused by a combination of factors in the panel fabrication. • Aug. 6, 2012, Baikonur — Proton-M with Ekspress MD2 and Telkom 3 satellites – satellites placed into wrong orbit by faulty Briz-M upper stage, caused by a faulty component in the pressurization system. • Dec. 8, 2012, Baikonur — Proton-M with Yamal-402 satellite – Briz-M upper stage shut down prematurely. The anomaly was caused by a combination of adverse conditions which affected the operation of the Briz-M main engine during the startup of the third burn, causing damage to a bearing on the oxidizer side of the turbopump. Despite the problems, the satellite was successfully put into geostationary orbit on Dec. 15, 2012. • Jan. 15, 2013, Plesetsk — Rokot with three Kosmos satellites (2482-2484) – Briz-KM upper stage failed to initiate the last pre-programmed firing of its engine. The failure was caused by a problem with one of the systems or a programming error. • Feb. 1, 2013, Odyssey, Pacific Ocean — Zenit-3SL with Intelsat 27 – first stage failure, rocket impacted into the ocean after launch. The accident was caused by failure of the first stage hydraulic power supply unit pump, which lead to loss of engine gimbal control. • July 2, 2013, Baikonur — Proton-M with three GLONASS-M satellites – first stage control failure, rocket crashed near the launch pad. The failure was caused by improperly installed angular velocity sensors of the rocket’s control system. • May 15, 2014, Baikonur — Proton-M with Ekspress AM4R satellite – the satellite failed to reach orbit after Briz-M upper stage malfunction. The failure was caused by the loss of integrity that led to an excessive steering engine turbopump vibration environment and damaged a fuel inlet line to the oxidizer gas generator, resulting in a fuel leak. • Oct. 21, 2014, Baikonur — Proton-M with Ekspress AM6 satellite – the satellite was released into a lower orbit than planned. • Oct. 28, 2014, Wallops Flight Facility — An Antares rocket using two Russian-built, Aerojet Rocketdyne-provided AJ26/NK-33 rocket engines explodes twelve seconds into flight when one of the two engines encounters an issue with one of the engine’s turbopumps. The booster, the Cygnus spacecraft and its payload are a complete loss with portions of the Mid-Atlantic Regional Spaceport’s Pad 0A severely damaged. • April 28, 2015, Baikonur — Soyuz-2.1a with Progress M-27M spacecraft – the third stage of the Soyuz rocket separated too early and the spacecraft lost communications and attitude control soon after separation. The failure was caused by the depressurization of the oxidizer tank and of the fuel tank. Progress M-27M re-entered the atmosphere over the South American coast on May 8, 2015. • May 16, 2015, Baikonur — Proton-M with MexSat-1 satellite – the satellite lost due to problems with the third stage, investigation underway. The satellite re-entered the atmosphere over Siberia on May 16, 2015. Fortunately, “Russia and its International Space Station (ISS) partners have prudently decided to postpone the scheduled upcoming crew rotations, involving departures and launches of station crews,” as reported by Universe Today. This collection of events suggests a need for U.S. spaceflight independence sooner rather than later. Efforts made under NASA’s Commercial Crew Program and the Orion space capsule are supposed to get us there eventually, but neither SpaceX’s crewed Dragon nor Boeing’s CST-100 is expected to make a manned flight until a couple of years from now (2017, according to Science Times), with the next uncrewed test flight of the Orion vehicle occurring even later than that (EM-1, in 2018). And a Progress docked to the ISS failed to perform a boost a week or so ago. Succeeded on second attempt a few days later. I would guess that old designs mixed with a patchwork of upgrades, and the fact that all of the original designers have passed away, can be part of the explanation. Briz means breeze which according to a dictionary is: “To come or go in a casual or lighthearted manner. “I breezed in as if nothing were wrong.”” It turned out to be a rather stormy breeze. With the soon-to-come explosion of US-made commercial human rated hardware, plus NASA’s foray into deep space with SLS and Orion (to which Soviets, ahem, Russians don’t have anything except some flashy 3D powerpoints), Russia is about to find itself as a 2nd rate spacefaring nation. Add to that SpaceX’s drastic launch cost cuts, economic situation in Russia and worker woes at Plesetsk, and they will soon be a 3rd rate spacefaring nation, capable of building, well, decent trampolines. Maybe ‘explosion’ isn’t the best term to use when describing the growing number of commercial space lanch programs. Not sure how the Intelsat 19 satellite’s solar array failing to deploy due a combination of factors in the panel fabrication is a fault of the launch vehicle? As long as U.S. have nothing on the table trampoline is the only option. At least Russia can do it safe and cheap. US has more important things to do, put sanctions, hunt dictators, spread “democracy” and bring “peace” to the world (especially middle east).